One of the most striking upgrades you can give to your home is the addition of a brand new feature in your living space, and, no matter the style of your current décor, we think that a stove is one of the most attractive options available to really shake up the look of a room. Stoves are available in a variety of different designs, suiting everything from the most traditional set-ups to the sleekest contemporary palettes. 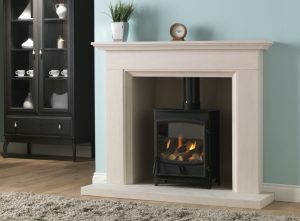 Free standing stoves provide an almost sculptural modern feel, while ornate wood burning stoves can be placed below a mantelpiece to add a sense of traditional class. You can power your stove with a number of different fuels, from wood to electricity to natural gas, depending on the effect you want, the style you prefer and the environmental status you desire for your home. Many stoves can take a variety of options – ELB Fireplaces even stock multifuel models so that you can decide for yourself. There are so many stove designs available that almost any home can benefit from one, whatever the layout. To feel the warmth and enjoy the beauty of a modern stove without losing any room, why not opt for an inset model such as the Contura C17, which can be installed directly into a wall – leaving you with all the floorspace you need? 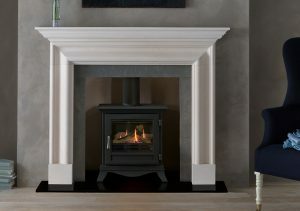 If you’re looking for something more assertive, Contura also offers the i41t, a corner stove set into a striking, naturally textured surround. Should you prefer a touch of tradition, the Chesney Beaumont provides just the right level of good old fashioned opulence. Many stoves come with customisable elements that really allow you to make your mark and ensure that they perfectly complement their environment. 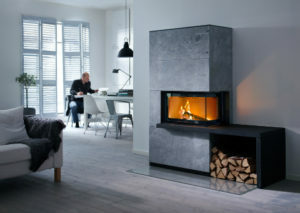 Not only do stoves look fantastic, but they are also one of the best options available when it comes to heat retention. Many models send smoke and waste gases up a stovepipe into the outside world and, if the majority of the length of that pipe is fitted inside the house, the heat it radiates makes its way into the interior atmosphere, and very little of it is lost to the cold air outside. If you know what kind of stove you’re interested in, your next step should be to take a look at what ELB Fireplaces has to offer. Our beautiful designs are guaranteed to revolutionise the feel of your home and give you, your household and your guests the comfort you crave in the cold first few months of the year. If you’d like to find out more, just call us today on 01942 607 250 or send us an email via enquiries@elbfireplaces.co.uk and we’ll be very happy to help you.